Found on Facebook, I can not confirm if this is only for new customers or not. "DEAL ALERT! $30 OFF We've unlocked the gold standard when it comes to easy, delicious and comforting meals that don't zap your energy to prepare. 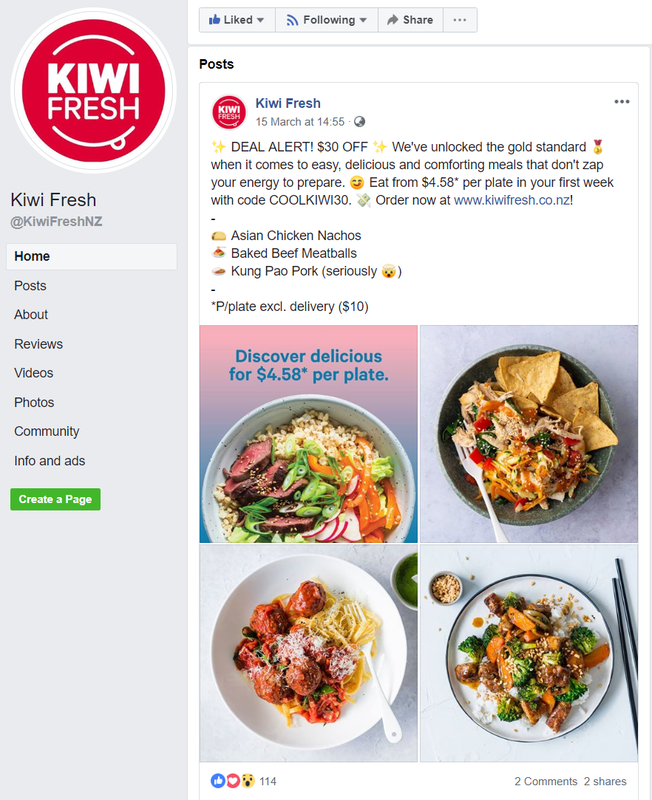 Eat from $4.58* per plate in your first week with code COOLKIWI30. Order now at www.kiwifresh.co.nz! So minus the $30 discount that's $50 for six meals total ($8.33 ea) or $65 for 12 meals total ($5.41 ea, not $4.58 like they claim).